1. Choose your style, color and quantity. 2. If you have your own artwork, e-mail your artwork to art@cheerleading.com. We recommend limiting your artwork to one-color for the best look. If you would like us to set up your artwork, please fax a drawing to us at 800-411-0842. Please be sure to include your name, address, telephone number with area code and fax number with area code. There is a $50.00 die charge/setup fee per color, per side. For example: if you have printing on two sides, there would be two die charges. We will fax a proof to you for your approval. Please return your approved fax to us promptly so that we can continue production. *Additional artwork fees may apply if you are providing your own artwork. Click here for Artwork Guidelines. 3. You can either fax, call in or e-mail your order to us. Be sure to include your payment and shipping information if you send the order by fax or by e-mail. 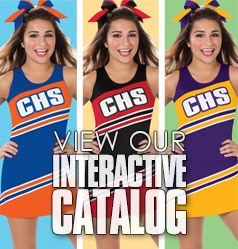 Fax your order to 800-411-0842 or e-mail your order to orders@cheerleading.com. 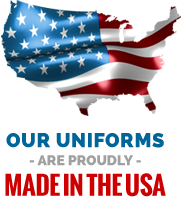 Manufacturing time for custom imprinted items is 2-3 weeks. 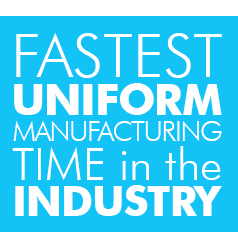 Manufacturing time does not include shipping time. If you need to upgrade your shipping to 3-Day, 2nd day or Overnight, please contact us for a shipping quote. Please feel free to call us at 800-411-4105 if we can answer any questions for you. Order carefully as imprinted items are not returnable or exchangeable.